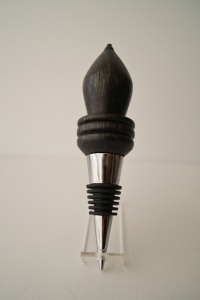 This large wine stopper is beautiful. The material is layered dyed baltic birch plywood. The alternating color layers provide a unique, pleasent visual appearance when turned.